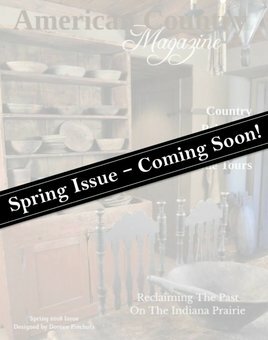 The Spring 2019 issue of American Country Magazine, is filled with inspirations for decorating, collecting, antique education, & gardening for your home. You’ll love the three Country, Primitive, Early American or Colonial style homes featured. ARRIVING mid-February! 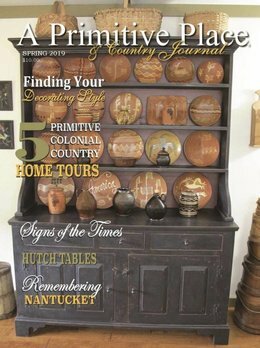 The Spring 2019 Issue of "A Primitive Place & Country Journal Magazine" brings you the latest inspiration for your home and your simpler way of life. Enjoy five perfectly decorated primitive, colonial, & country style homes. 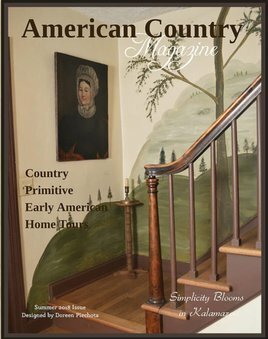 The American Country Magazine Summer 2018 is filled with inspirations for decorating, collecting, antique education, & gardening for your home. You’ll love the three Country, Primitive, Early American or Colonial style homes that are chosen.